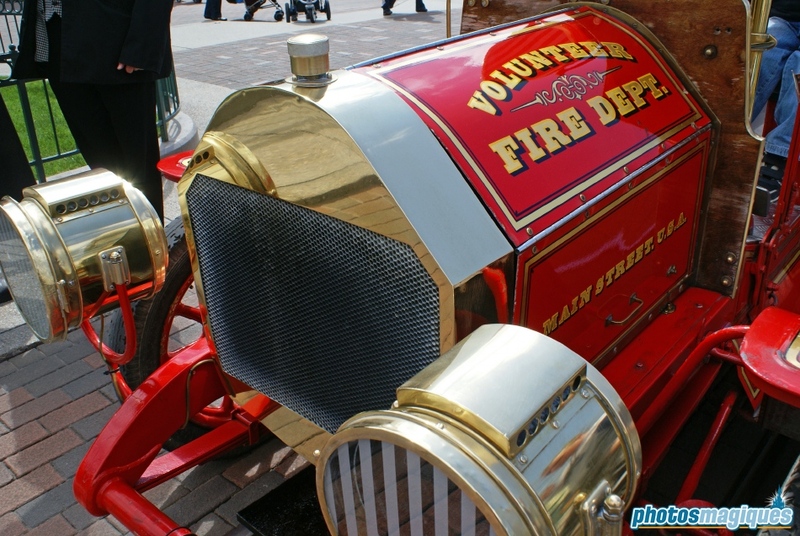 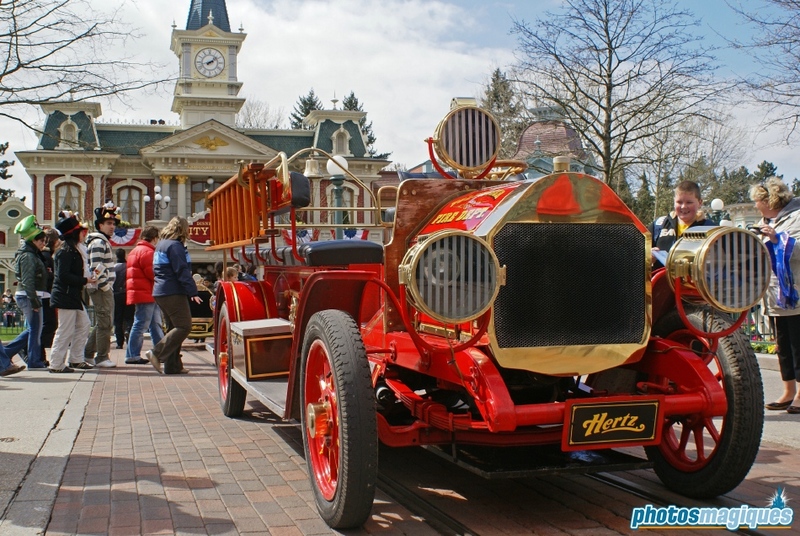 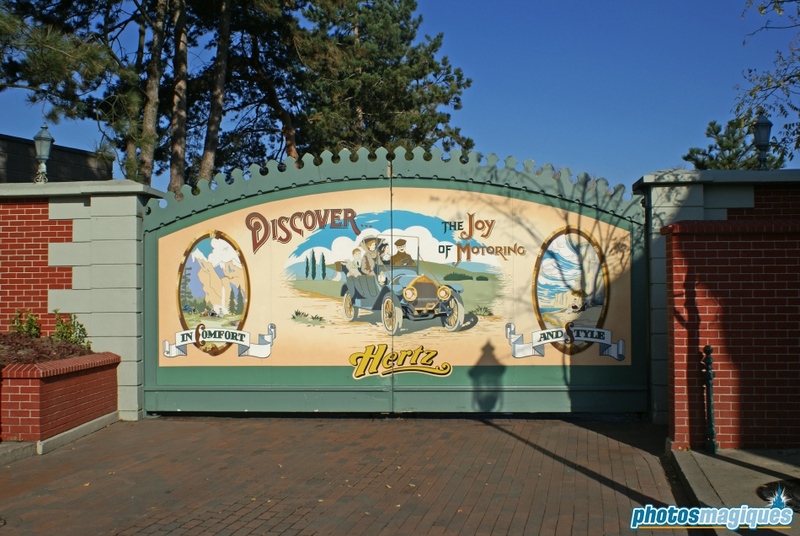 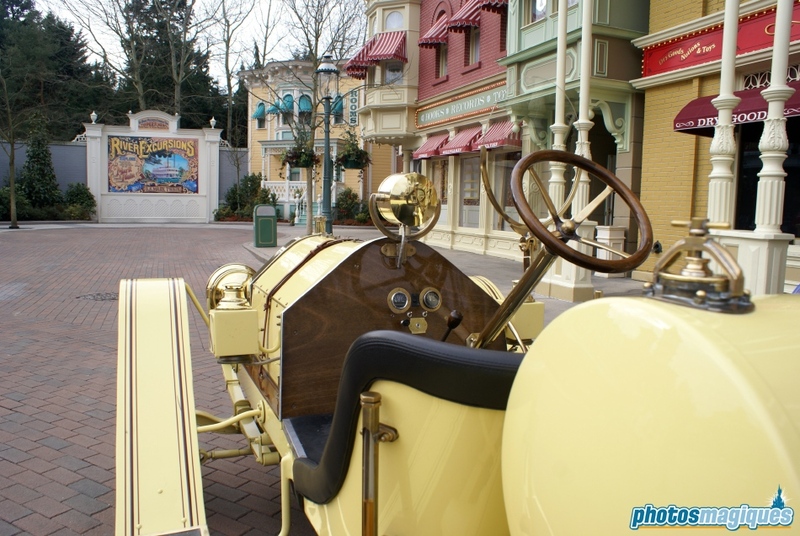 Take a one way trip in a turn-of-the-century automobile down Main Street, U.S.A. 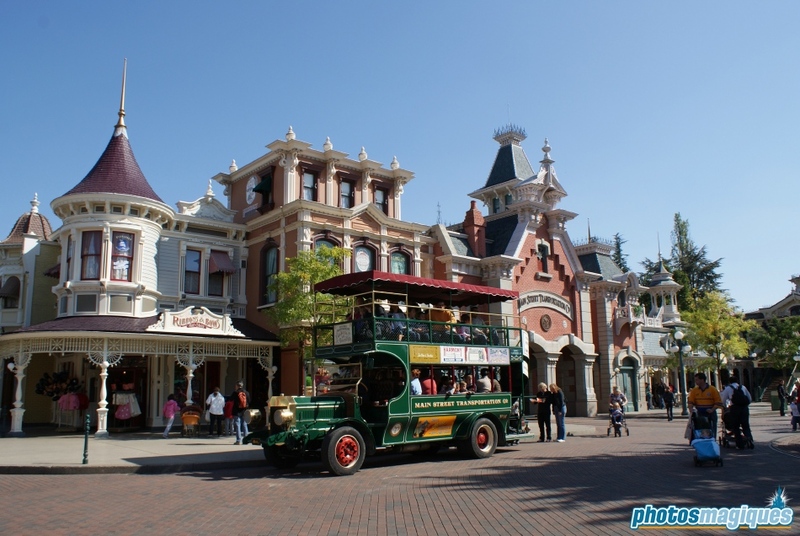 There are stops on Town Square and Central Plaza. 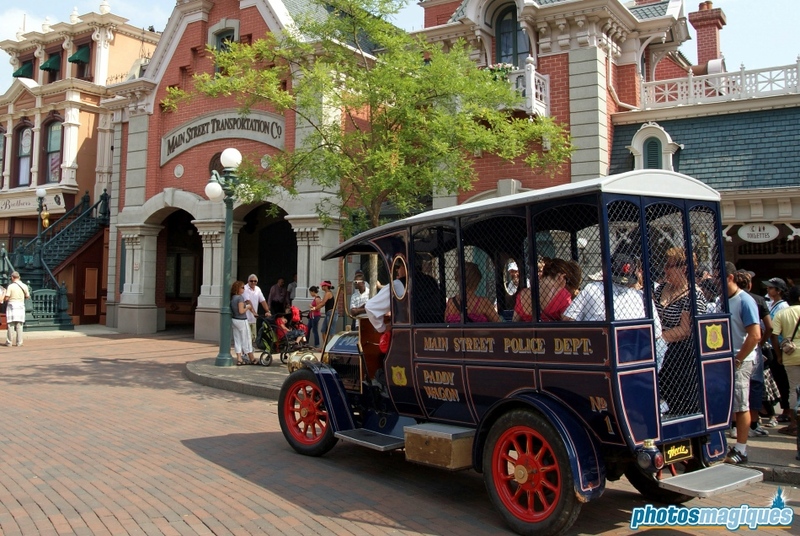 The Main Street Vehicles are: Omnibus, Limousine, Fire Truck and Paddy Wagon. 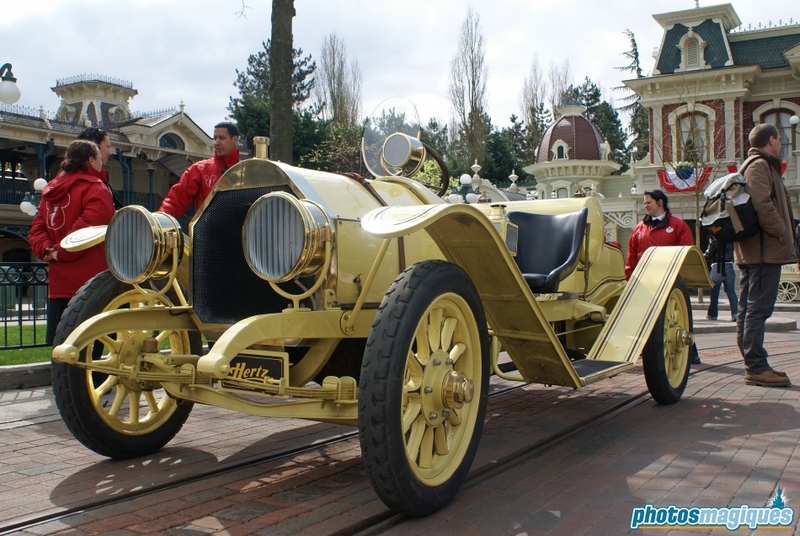 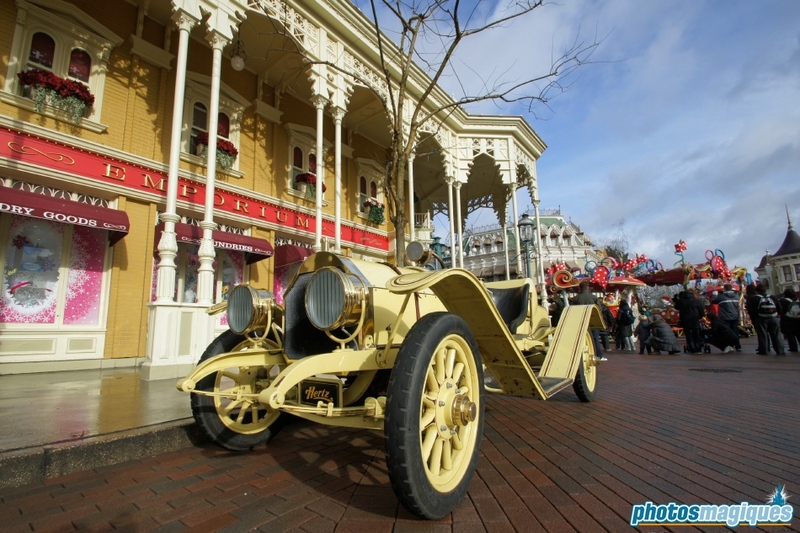 The Mercer, an antique sportcar, is usually only used as a photo location in front of Emporium. 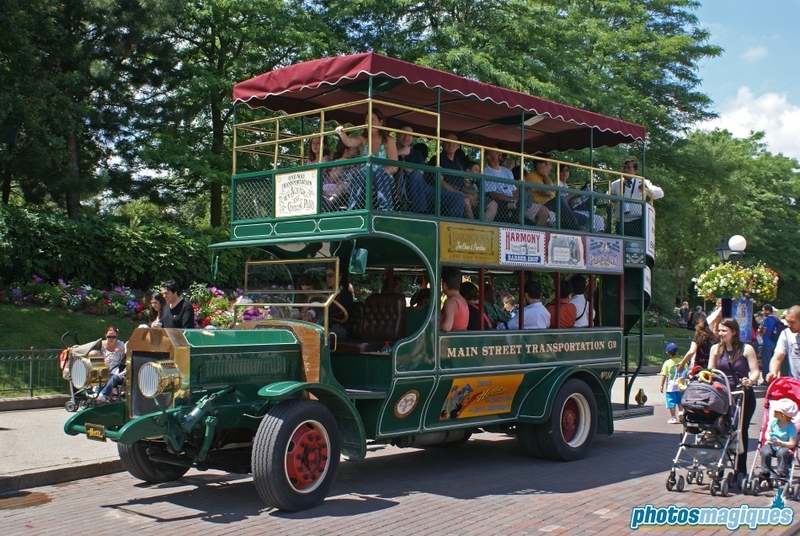 The omnibus usually operates in the mornings only. 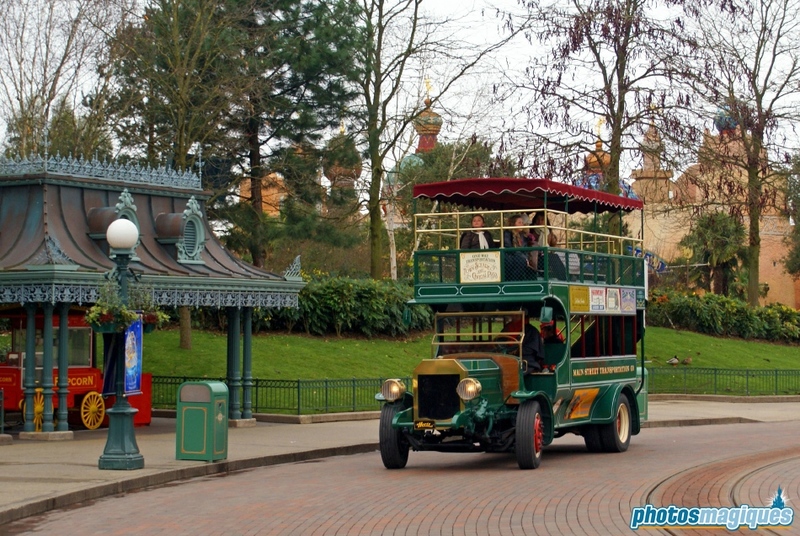 From the upper floor you’ll get a unique view on Main Street and Le Château de la Belle au Bois Dormant.